Richard Bersohn was a chemical physicist, who researched molecular photodissociation and chemical kinetics. He used Förster energy transfer and nuclear magnetic resonance spectroscopy methods to study the tertiary structure of proteins. May 13, 1925Birth, New York (N.Y.). 1943Obtained BS in Chemistry, Massachusetts Institute of Technology (MIT), Cambridge (Mass.). 1949Obtained PhD in Chemical Physics, Harvard University, Cambridge (Mass.). 1951 – 1959Assistant Professor to Associate Professor of Chemistry, Cornell University, Ithaca (N.Y.). 1958National Science Foundation (NSF) Fellow, University of Paris. 1959 – 2003Assistant Professor to Associate Professor of Chemistry (1951-1959); Associate Professor of Chemistry (1959-1962); Professor of Chemistry (1962-1986); Chair, Department of Chemistry (1990-1996); and Higgins Professor of Natural Science (1986-2003), Columbia University, New York (N.Y.). 1971Head, Division of Chemical Physics, American Physical Society. 1972Guggenheim Fellow, University of Tel Aviv. 1981 – 1984Chair of Advisory Committee, Chemistry department, Brookhaven National Laboratory. 1984 – 1987Member, Committee on Atomic and Molecular Science, National Research Council. 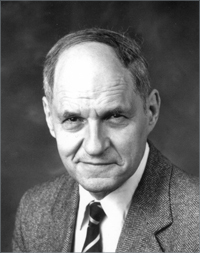 1985Awarded Herbert P. Broida Prize, American Physical Society. November 18, 2003Death, New York (N.Y.). Collaborated on short pulse lasers in biology research at Bell Labs. Worked on the optical pumping field at the École Normale Supérieure together. Post doctoral advisor at Columbia University. Ph.D. advisor at Harvard University. Associate Professor of Chemistry; Professor of Chemistry; Chair, Department of Chemistry; and Higgins Professor of Natural Science. Assistant Professor to Associate Professor of Chemistry. Member; Head, Division of Chemical Physics; and 1985 Herbert P. Broida Prize recipient. Obtained PhD in 1949 (Chemical Physics). Member, Committee on Atomic and Molecular Science. Richard Bersohn Physics Today obituary.